In the last two years, if you could name a dish - a chef or restaurant owner would have slathered salted egg yolk all over it. The brined delicacy has seen a surge in interest and now features on restaurant, cafe and even cocktail menus islandwide. But how much do you really know about salted egg yolks? We give you a quick crash course. How did salted egg yolks become popular? Salted duck eggs are a quintessentially Chinese ingredient, and the highlight of many classic dishes like Steamed Pork with Salted Eggs and Three-yolk Steamed Egg. They are rarely found in the cuisines of neighbouring Japan or Korea. In 2009, the liu sha bao started appearing in Hong Kong, a steamed bun filled with a molten custard made from butter, condensed milk and salted egg yolk, which has since been commonly accepted into the canon of Cantonese dim sum. Its arrival in Singapore circa 2011 marked the beginning of the salted egg revival in Singapore. A little ice-cream parlour in the city, Tom’s Palette, had already been serving salted egg ice cream in 2008, before the tsunami of “golden sand”. In 2010, casual burger joint De Burg introduced several “Asian Burgers” containing a salted egg sauce. But it was only in mid-2014, two years after the liu sha bao first went mainstream in Singapore, that the salted egg frenzy really kicked into high gear, with everyone from restaurants to recipe blogs touting salted egg popcorn, salted egg macarons, salted egg doughnuts, salted egg lava cake, even a salted egg cocktail. The salted egg yolk croissant has now become Singapore’s equivalent of American cult pastry, the cronut, with even established chains like Antoinette and Da Paolo Gastronomia rolling out their own renditions and spurring taste-tests among obsessives. How did salted eggs originate? Salted eggs are so old that no one really remembers how they originated. 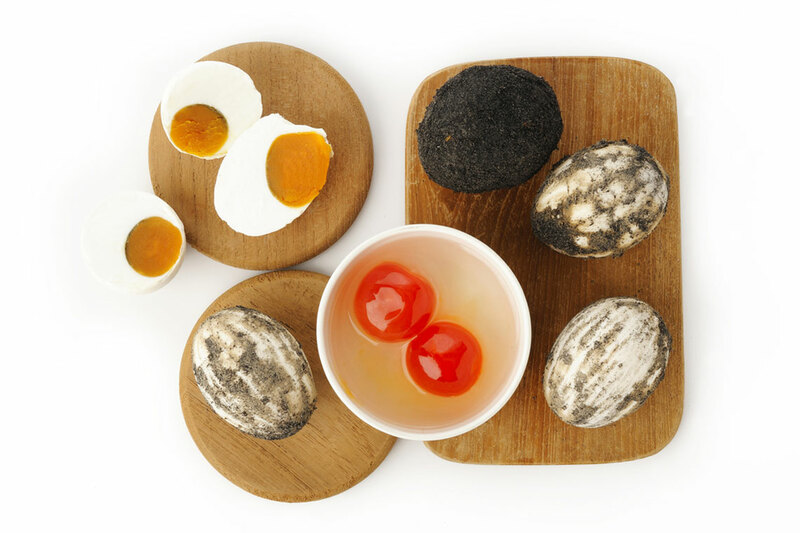 They predate their close relation, century eggs, whose origins are celebrated in folklore of the Ming Dynasty period. The earliest recorded mention of salted duck eggs is in the Qimin Yaoshu (Essential Techniques for the Peasantry), an ancient Chinese agriculture text dating from the fifth century AD - some six centuries earlier - with instructions to soak the duck eggs in brine for one month. How are salted eggs made? The three principal methods that were traditionally used to salt duck eggs involved either brining the eggs in a salt solution, dry-brining them by encrusting them with a layer of coarse salt, or coating them with a paste of sand, mud, or clay. The hallmarks of a good salted duck egg are all to be found in its (cooked) yolk — a deep orange colour, a grainy texture, and an unctuous ooze of oil. Modern production of salted duck eggs typically relies on the simplest, most efficient method of brining in a concentrated salt solution. Although traditional wisdom holds that removing the unremarkable-tasting white will cause the yolk to dry out and lose its flavour, thanks to technological advances like vacuum sealing and freeze-drying, it is today possible for salted yolks to be sold separately or even in powder form. Are salted eggs good for you? According to Traditional Chinese Medicine, eating salted duck eggs were historically prescribed to reduce “heatiness”. 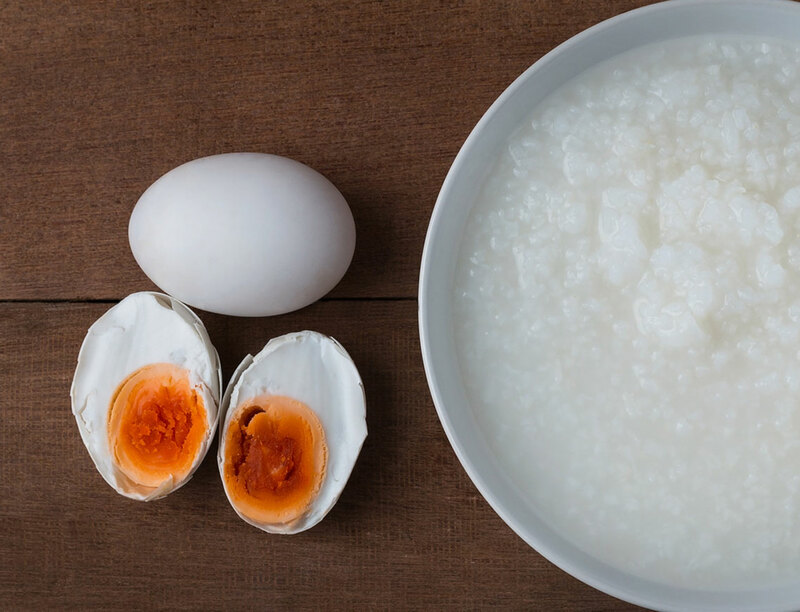 To this day, plain rice congee with salted egg is a traditional home remedy for diarrhoea, and the oil of the salted yolk as a cure for weepy eyes. Salted eggs are typically made from duck eggs, which contain double the cholesterol levels of chicken eggs, the most commonly-eaten fresh egg. Weight for weight, salted eggs have more protein, fat, calcium and potassium than fresh duck eggs, but are lower in iron and vitamins. What's the best way to shop for salted eggs? China is still the world’s top producer of salted duck eggs, followed by Vietnam. But the salted egg industry has been plagued by food scandals, ranging from the ducks being fed the carcinogenic Sudan Red IV dye to darken the egg yolks, to cost-cutting by brining the eggs in industrial salt contaminated with toxic nitrites and heavy metals. Unfortunately there is really no way of telling what’s gone into the salted egg or even how good it tastes based on its exterior. One can only rely on the integrity of the supply chain, so you might want to steer clear of unmarked salted eggs with uncertain provenance. Will the salted egg trend ever abate? Egg yolk and salt are two individual ingredients with near-universal taste appeal, at once rich and savoury. In terms of breadth of use salted egg yolk could be the Chinese answer to truffles. Given the growing penchant for appropriating one’s own culture, it’s not surprising that our majority-Chinese nation is hooked on successive incarnations of the stuff. And besides, it goes with just about everything. 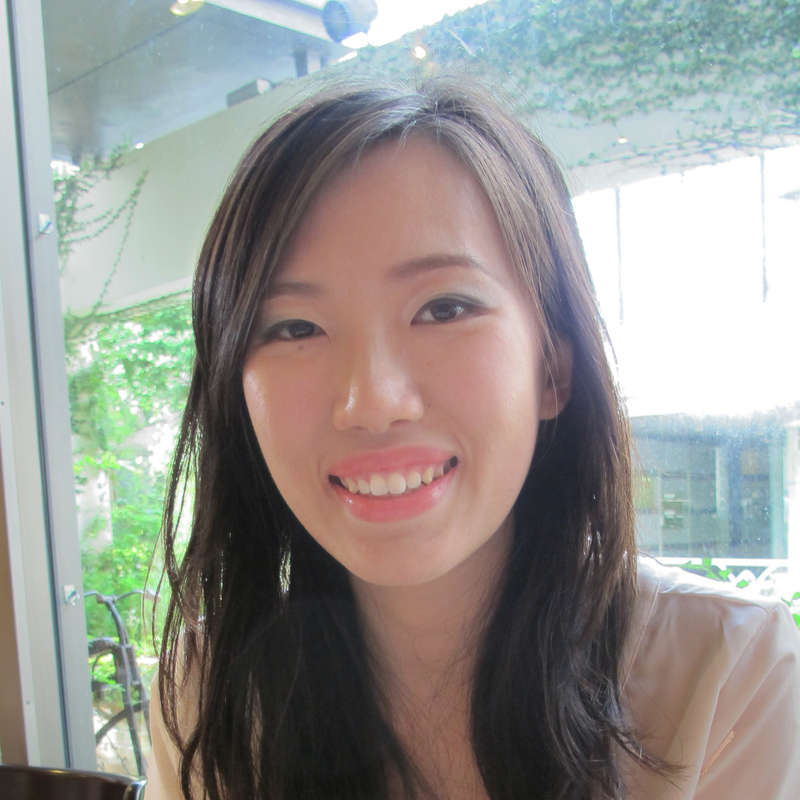 A writer by trade and cook by necessity, Stephanie Lim has lived and cooked in Australia, London, India and Singapore. She is also co-founder of Treebubs, an outdoor Mandarin school for tots. Her most demanding job yet is training her three-year-old sous chef and one-year-old chef de partie. Wine experts from Robert Parker Wine Advocate share obscure grape varietals from various regions that should be on the radar of wine lovers.